Dr. Maninder Hora is Senior Vice President, Pharmaceutical Development & Manufacturing Operations at Nektar (USA) and Board Member of that company in India. He has over 25 years of experience in biotechnology and pharmaceutical industry in leading roles in research, technical development and corporate governance. Dr. Hora served in leading positions at several US-based biotechnology companies since 2001. 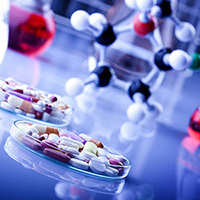 He is an expert in drug development, manufacturing and regulatory submissions for product approvals. He was instrumental for successful registration and filing of many drugs and vaccines with regulatory authorities. He is author of more than 50 patents worldwide, 40 scientific publications in journals and books, and is recognized advisor of many scientific or technical conferences and seminars. Dr. Hora holds MSc and PhD degrees from the Indian Institute of Technology in Delhi, India.